In each of my books you’ll find inspiring ideas and practical protocols and practices to apply to your life. Writing and developing this material has transformed my relationship with myself, others, and the world. It is my heartfelt hope that you also are blessed with the transformation you deserve by reading and using my work. “The time has come for us to be our own spiritual authorities and access this illuminating, rich source directly,” Linda explains. 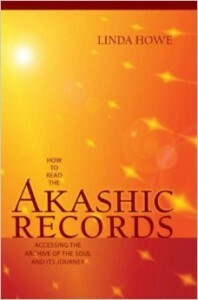 With How to Read the Akashic Records, anyone who desires to read the Records now has conscious, immediate access to this amazing life resource. Do you have an inner knowing that there is more to life? Would you like to identify your soul’s true path? Are you compelled by a desire to contribute more meaningfully in the world? In this remarkable book, Dr. Linda Howe reveals how to effectively make the shift from ordinary to ExtraOrdinary living—suffused with purpose, aliveness, and light—through the Akashic Records. Application of Linda’s teachings will make a critical difference in your life right here, right now. An ExtraOrdinary life is within your reach! What are you waiting for? ORDER NOW! Available in paperback! June 2016 — Revised and reissued in paperback! Imagine opening a book that told the story of your life–and suddenly you realized that the painful parts held the key to knowing yourself as completely whole, well, and good. As many of Dr. Linda Howe’s students have found, this is the transformative process that we can experience in the Akashic Records, an energetic archive of the soul and its journey. With the Healing Through the Akashic Records book and companion audio-learning set, this leading expert shares how we can use our wounds–the limiting behaviors or ideas that we hold about ourselves–as a path to inner peace. “Governed by the principles of ‘judge not, fear not, resist not,’ the Akashic Records provide a safe and ideal environment for our spiritual healing,” Linda teaches. 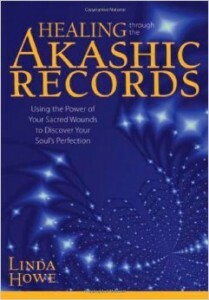 In the pages of Healing Through the Akashic Records, winner of an award from the Coalition of Visionary Resources, you will discover practical wisdom and consciousness-shifting tools for developing a richer connection with your innermost self, a greater sense of aliveness, and increased joy for living. How to Read the Akashic Records is published in Spanish, French, Dutch, Czech, Russian, Turkish, Polish, and Hungarian. Linda’s second book, Healing Through the Akashic Records is now available in Spanish, Russian, and other languages. To inquire about the availability of her first two books in languages other than English, please write to foreignrights@soundstrue.com. 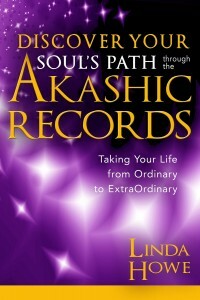 To inquire about the availability of Linda’s latest book, Discover Your Soul’s Path Through the Akashic Records, in languages other than English, please write to orders@hayhouse.com or call 1-800-654-5126.